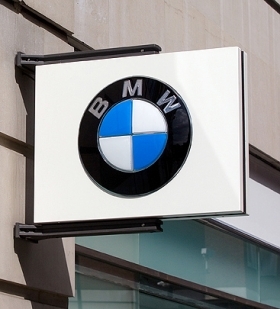 FRANKFURT -- BMW Group is shuffling its management board. Klaus Draeger, who is head of r&d and Herbert Diess, who is in charge of purchasing, will switch roles. Sales and marketing chief Ian Robertson loses oversight of sales and marketing for the Mini and Rolls-Royce brands. He is now responsible for sales and marketing for the BMW brand and its BMW M and BMW i sub-brands. The board's youngest member, human resources boss Harald Krueger, takes on tasks previously overseen by Robertson. He will manage a newly-formed division with responsibility for Mini, Rolls-Royce and BMW motorcycles, including the product lines and marketing and sales and will also be in charge of expanding BMW's aftersales business. Spanish-born Milagros Caina-Andree will replace Krueger as head of personnel when she joins the automaker in July from Deutsche Bahn's Schenker logistics unit. She will be BMW's first female management board member and the second non-German after Robertson.